The last American man standing — No. 18 seed Sam Querrey — takes on power server/32nd seed Milos Raonic of Canada with a semifinal spot hanging in the balance. Their head-to-head history stands at an even 2-2, but they haven’t faced each other in two years and much has changed since. Raonic, once a perennial Slam threat ranked as high as No. 3, has since fallen to No. 38, a series of injuries costing him court time. Last year, Querrey rose to a career-high No. 13, the same year he topped Rafael Nadal in the Acapulco final and shocked then-No. 1 Andy Murray to reach the Wimbledon semifinals. If you haven’t heard of Daria Kasatkina, you’ll likely be hearing about her for years to come. The 20th seeded Russian who goes by “Dasha” has been tearing it up on the tour of late. Since September, Kasatkina has taken out all four reigning Slam champs — Jelena Ostapenko (Roland Garros), Garbine Muguruza (Wimbledon), Sloane Stephens (US Open) and Caroline Wozniacki (Australian Open). On Thursday, she overwhelmed 2016 Australian Open/US Open titlist Angelique Kerber. Can Venus Williams, at 37 and in her first BNP Paribas Open semifinal since 2001, halt Dasha’s run? If it feels like Philipp Kohlschreiber has been around forever, it’s because the 34-year-old German has managed to keep himself relevant. Just ask American John Isner, who suffered three consecutive US Open losses (2012-2014) to Kohlschreiber in the very same round on the very same court, Louis Armstrong Stadium. The quintessential “dangerous floater,” the world No. 37, who scalped No. 2 seed Marin Cilic in the third round, would love nothing more than to pull off an upset against No. 6 seed Juan Martin Del Potro. But in this matchup against the ever-popular Argentine, he won’t have the crowd on his side. The annual BNP Paribas Open Collegiate Tennis Challenge presented by Oracle (March 16-18) gets underway on Friday, featuring a dozen of the top NCAA Division I men’s and women’s teams. Matches begin at 8 a.m. daily. 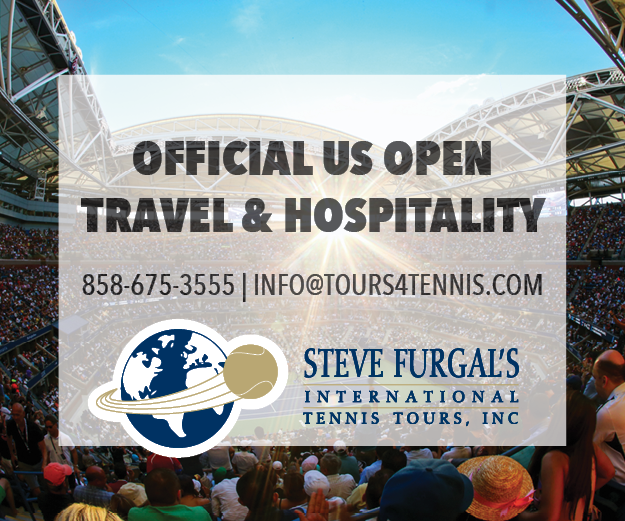 Admission is free with a valid BNP Paribas Open ticket or event credential. Simona Halep takes her No. 1 ranking into the semifinals against surging Naomi Osaka, who is not-so-quietly becoming on f the WTA Tour’s brightest young stars. The 19-year-old daughter of a Haitian father and Japanese mother is enjoying a breakthrough run in the desert, a delightful personality who brings an understated power to the court. All she’s done in her run to the Final Four is take out three-time BNP Paribas Open titlist Maria Sharapova, 2014 runner-up Agnieszka Radwanska, and former No. 1 Karolina Pliskova. It won’t be a cakewalk for the Romanian Halep.